The Ensign Group (Nasdaq: ENSG) reported its highest-ever adjusted earnings per share for the fourth quarter of 2018 on strong skilled nursing segment growth — but the results were also boosted by promising signs in the company’s expanding senior living portfolio. The Mission Viejo, California-based company reported earnings per share of 48 cents for the fourth quarter of 2018, an increase of 128.6% from the prior year’s fourth quarter. Ensign also posted adjusted earnings per share of 54 cents for the same period, an increase of 35.0% over the prior year. Overall, the company posted $102.1 million in adjusted net income for 2018, which is an increase of 38.3% over the prior year. Skilled nursing played the biggest role in these results, with a total segment revenue of $55.2 million for the quarter. 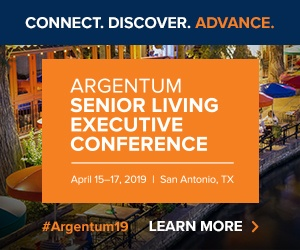 The company’s assisted living and independent living segment, meanwhile, saw total revenue of $151.8 million in 2018, an increase of 11.1% year-over-year. For the fourth quarter of 2018, the segment saw a total revenue of roughly $40.5 million. Ensign’s average assisted and independent living occupancy rate for the fourth quarter of 2018 was nearly 76%. Ensign’s portfolio includes 189 skilled nursing facilities — 24 of which have an assisted living component — and 55 assisted living and independent living communities 16 states. Ensign owns the real estate for 72 of its 244 properties. In 2014, the company notably split into two publicly traded companies: The Ensign Group and CareTrust REIT (Nasdaq: CTRE). Much of the company’s growth strategy to date has centered on acquiring non-core or turnaround assets from regional or large players in the senior living and skilled nursing spaces. And its portfolio is still growing at a steady clip. “Skilled nursing adjacent EBIDTA margins increased by 200 basis points, year-over-year, which we think demonstrates the earnings power of the company’s acquisitions strategy and validates the organizational structure that empowers local leaders,” Stephens analyst Dana Hambly wrote in a note to investors prior to Thursday’s call. Stifel analyst Chad Vanacore took a similar tone, and noted that Ensign’s recent skilled nursing occupancy gains bode well for the sector as a whole. “Our takeaway here is that occupancy continues to improve and that is a meaningful lever for growth and a good sign for recovery in the skilled nursing industry,” reads a note to investors he shared with SHN. Ensign recently acquired the operations of four assisted living facilities in the Dallas-Fort Worth area of Texas. The company also bought in the fourth quarter the real estate and operations of a 73-unit assisted living and memory care community in Las Vegas; the real estate and operations of a post-acute care retirement community with 93 skilled nursing beds and 95 assisted and independent living units in Ottawa, Kansas; and the real estate and operations of a 139-bed skilled nursing and 21-unit assisted living community in Meridian, Idaho. Senior living, along with home health care and hospice, now collectively represents 16% of the company’s consolidated revenue, according to Ensign president and CEO Christopher Christensen. Ensign’s share price grew 10.8% to $48.98 per share by the time the markets closed Thursday.